Calcination is a high temperature process for transforming the physical properties of raw petroleum coke. Sized petroleum coke is stored in silos and fed into a rotary kiln in controlled ratios. 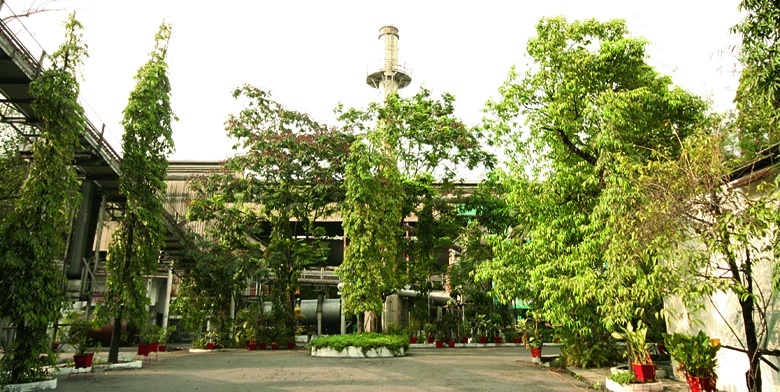 The calcination process raises the material temperatures in the kiln to around 1200 to 1260°C depending on the quality of raw cokes and specification of C P Coke desired. 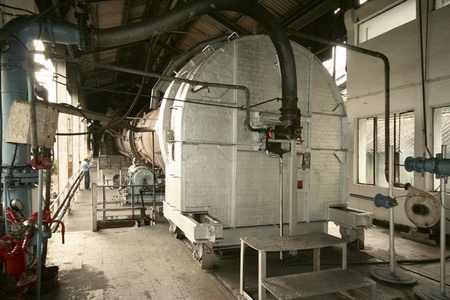 The material flows in a counter direction to the temperature controlled hot gases fired from a kiln burner. During the radiation heat transfer process, the material comes across various reactive zones where it de-moisturises, devolatalises and stabilizes with improved crystalline structure. Operating parameters are controlled to impart the required crystal structure, density and electrical conductivity. The calcined coke is first cooled by water quenching the red-hot material, and then further cooled by natural draft air as it tumbles through the length of the cooler, on its way to the conveyors leading to storage in the godowns. Run of the kiln (ROK) calcined coke silos is also sieved in various sizes as specified by customers.